“After coaching for more than 20 years around the world, I have developed the most comprehensive improvement plan for golfers to enhance your game, from beginners to tour players. Through my experience coaching golfers on numerous professional tours, including the USPGA Champions Tour, world junior champions and beginners new to the game, I have discovered that golfers get better faster by having a club in their hand on a regular basis each week, with a professional there to provide coaching every time. Learn how to swing the club better and ultimately score better in our hi-tech bays, packed with the very latest technology to improve your game. 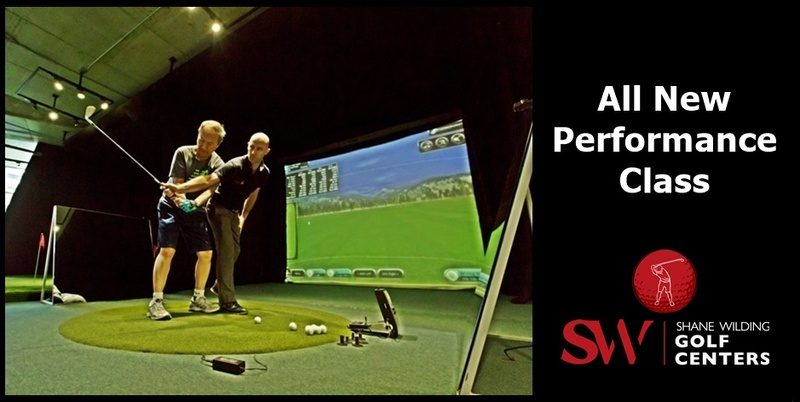 Supported by PGA professionals every day showing you how you can hit it better in an environment that supports you every step of the way as you make progress with your game each time you experience our Performance Classes. Using your performance log book, you will be able to easily track your progress, coaches notes and follow a clear path to improvement. Can’t fit a performance class in to your schedule? No problem! We still offer private classes throughout the day where you’ll be one on one in a private class with a PGA professional. See your improvement on the golf course In performance class on course lessons, you will have a dedicated PGA professional at all times showing you how to improve your technique and course management. Designed to train you for the golf course, our 18 hole putting course gives you different realistic putts on each hole. We are passionate about shaving putts off your score, so we have created an 18 hole putting course like no other. Our performance classes will show you how to practice and perfect your putting game. Your PGA professional will coach you learn to develop feel for speed and direction of your putts. With 500sqm dedicated to short game, we have created a world class pitching, chipping and bunker area to master your skills Within your performance classes your PGA professional will show you and help you improve with proper technique in daily performance classes. Do you struggle to get your ball out of the bunker first time? Do bunkers make you nervous when you see your ball in them? Do you lack a clear idea how to play bunker shots? Experience our unique short game facility with two bunkers in the heart of Bangkok. We have created the perfect environment for you to learn easily how to play bunker shots from our PGA Professionals and escape them first time, every time.